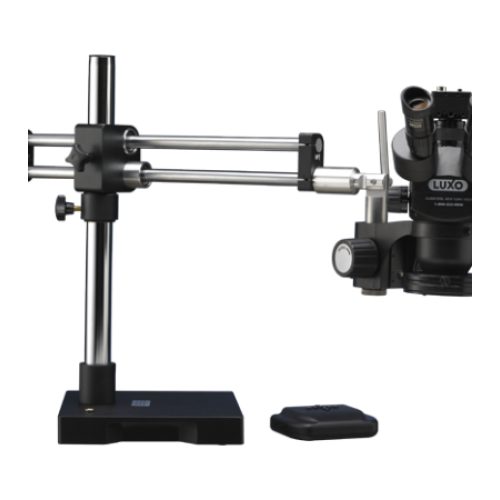 Factory Refurbished Luxo 373 Tru-Trinocular Stereo Zoom 23mm Microscope in gray, 7X to 45X magnification with double ball bearing arm, weighted base, and 18746 dimmable LED ring light, 115 vac, 60 hz. Camera port has its own set of optics and does not have a slide switch to use the optics from the right eyepiece. 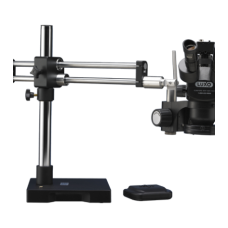 CCD camera not included and sold separately.